We know, it all starts with you. Just after daybreak, with no one else around. You make the magic happen. It takes planning, the right tools, expertise, attention to detail… from practice to game day, all summer long. How do we know? We walk the walk. The fact is, we’ve walked hundreds of miles in your shoes. From day-to-day maintenance to planning, building or renovating your ballfield. We’re on our test fields innovating, developing products to help you do your job better. At the same time, our engineers are ensuring your ballfield project runs smoothly. We’re with you every step. You can consider us part of your team. As kids, we shagged flies and grounders till dusk … As adults, we’ve passed on our love of the game to our own kids, making sure they always have the best ballfields to play on. Fields that will give them a thrill every time they step up to the plate. At Beacon Athletics we’ve been helping America maintain and improve its playing fields since 1948. We work with almost every major and minor league team in the country, as well as hundreds of schools, clubs, municipalities and recreation programs all the way down to the t-ball level. We are innovators. We’re out on our own test fields every day, developing products that simply do the job better — like the Streamliner Field Chalker or the SweetSpot Tamp. And we do it with the help of Beacon’s own Paul Zwaska, the former head groundskeeper for the Baltimore Orioles and a man who eats, sleeps, and breathes ballfield maintenance. You can count on more than 60 years of experience guiding us with product design, material specifications, and craftsmanship. Click here to take a look at the chronology for our history of innovation. Also be sure to tap into the vast resources available at our Ballfields.com groundskeeper’s website where we post regular blogs, field dimensions, and how-to articles & videos. You’ll also want to take a look at the only professional online training venue at Groundskeeper University. You’ll get everyone on the same, doing it the right way! So, what can we do for you? If you have fields to maintain, or fields to plan and build, we can likely help you at every step. If you have a youth program that you’re struggling with, we can tell you ways to make it more successful. Even if you just want to call and talk field maintenance, we’re happy to do that, too. If you’re considering a major renovation or new construction, then your ballfield project should really start with Beacon. We know ballfields. Our experienced designers and engineers can help you with making your project run smoothly (learn more about projects). We’re conveniently headquartered in Middleton, Wisconsin, just outside of Madison. For us, it’s all about exceptional service, value, and performance. As a proud recipient of the 2013 Dane County Small Business Award, we know those are the things that really matter. 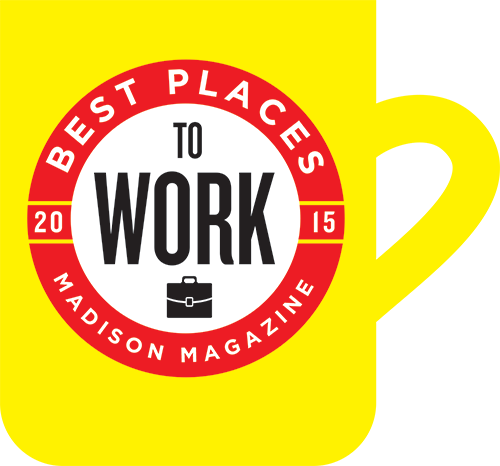 We were also named one of the “Best Places to Work” in 2015 by Madison Magazine, and we’ll carry that good vibe on to you. Learn more about “The Beacon Promise”. Beacon Athletics is a proud member of the STMA, NRPA, and ASBA.